Shannon Curtis and Pat Jarrett slow dance at Dice's in Staunton. Right now, I'm technically unemployed. I left my job a week ago at the amazing community newspaper, The News Leader, in Virginia in preparation for a move to Italy with my partner, Tyler. He was just stationed with the U.S. Army in Vicenza with the badassery that is the 173rd airborne brigade combat team. He's been there for almost a month now, in-processing, adjusting to Italian life and sampling all the food for me so I know what to eat immediately once I arrive. I am still stateside. Everything in our lives is up in the air at the moment. We have no timeline, no deadline, no end date — just months of paperwork, bureaucracy and possible deployments ahead until I can get to where he is. Every day is an exhausting battle and I struggle with small things like going out with other couples or planning small trips a few weeks out. In the end, the only thing I want to do is be where he is — or at least on my way to being there — and to know that he is safe. 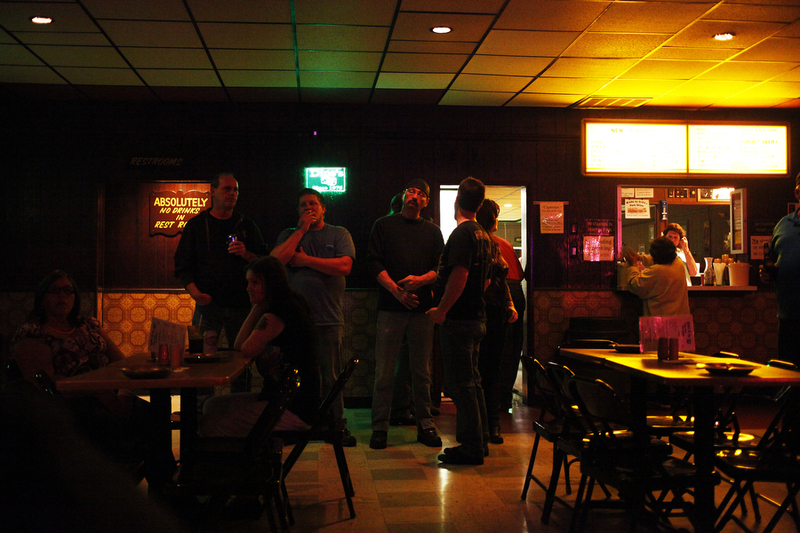 Patrons stand near the bar at Dice's in Staunton. So, what does all this mean for me — as in, my career and what I'm doing? To be honest, I have no idea. Two years ago, I would have been terrified of that fact. And I'd be lying and naive if I said I wasn't currently nervous or worried about the lack of a timeline or steadiness in my current employment situation. 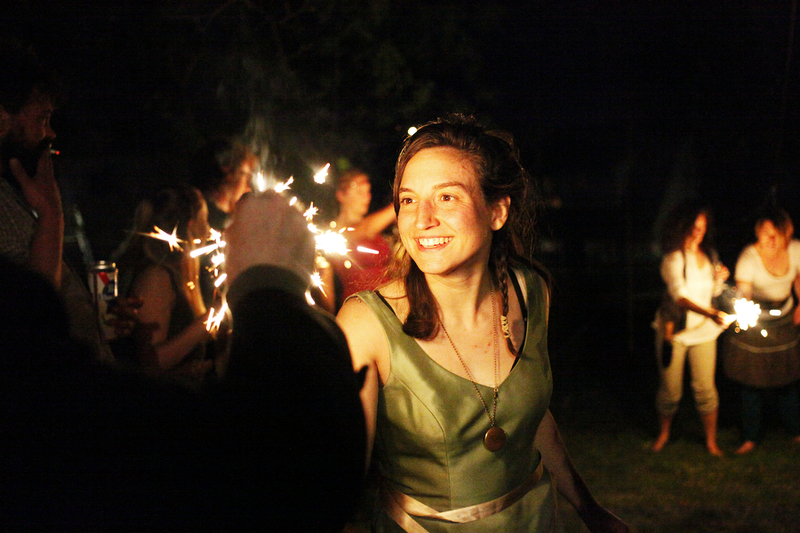 Anne Paulus lights sparklers during her Lord of the Rings-themed birthday party in Staunton. But even more than all those emotions, I'm actually kind of excited at the lack of structure ahead. And more than anything, I'm certain that the end of this current intermission will be fulfilling and amazing because I'll be with Tyler. We've spent six years full of adventure with each other, much of it long distance. We've always believed in allowing each other to work on ourselves as we needed to, but we both feel it's time that we're finally together — for the long haul. Pat Jarrett grills up chicken and corn during a nice day in Staunton. If you're wondering what I'm up to at the moment — well, I'm on an indefinite "vacation" (as my dad calls it) for the summer, living back in my hometown until we can get everything worked out with the army. Even though all I want to do is be in Italy drinking every bottle of wine I can get my hands on, I am very thankful for this intermission. As far as I'm concerned, if there's anything you should do before going to live abroad for three or four years, it's spend time with your loved ones. I feel blessed for the time to be able to do that — Tyler only had 10 days to see everyone he wanted to before he was sent over. So I will be using this time to see all the people I care about and do the most American things possible before hopping the pond. That may or may not involve eating a burger at least three times a week. The open sign is covered up by curtains at George Bower's Grocery in Staunton. Once I get to Tyler, I'm hoping to freelance or apply for some grants to work on photojournalism projects or maybe even get my masters. To be honest, I'm really not sure, and that's OK. Every step of my life has been planned until now, and not only that, but I've achieved every part of my timeline until now. So, for there to be no "sure thing" ahead — no internship to look forward to or job that's waiting for me — that's a pretty new feeling for me and I think it's healthy. Does a little part of me sort of hate it? Yes, because I'm a planner and an overachiever. But more than anything, it's good. Shannon Curtis and Pat Jarrett share drinks on the deck in Staunton. I've never been forced to do something different, and I've never been unsure of what I want. I've always known exactly what I wanted to strive for, and then I've gone and achieved that, without exception. But with an endless summer ahead (and in Missouri, summers are definitely endless), I'm going to have plenty of time to slow down — to think about what I really want to do, how I want to affect my community, and how I want to spend my time. I'm positive my future will still involve photography and journalism — but I think I'm going to play with the format I've been used to replicating a little bit. Jessica Martinez stands by the window in the history Elms Hotel and Spa before her wedding day to Xavier Martinez. I've spent the last two years at a daily newspaper, being given assignments and living within a lot of structure. As much as I loved it, I kind of just want to do the complete opposite now — work on whatever projects I want to, no deadlines or anything. But aside from that, the most important thing to me at the moment is to hug everyone I love a little bit closer, spend as much time with them as possible, and cherish so many of the things I take for granted. Jessica Martinez' shoes read "I Do" on the soles before her wedding day to Xavier Martinez. Things right now — well, they're not easy. I'm not going to sugarcoat it and say that this new life as a member of a military family is peachy, even if it does mean a government-sponsored plane ticket to Italy. But they're still good. I've got a man I love, and even though he's on the other side of the world, I'm thankful every single day that I get to spend my life with him — even if it's just in the form of a Skype call. If that's the only thing that is certain in my life at the moment, that's all I need. We're not the first people to do this, after all. The Kansas City skyline appears yellow through a tinted window at Boulevard Brewery. For now, I'm going to relish this time I have to think and spend time with my loved ones. I'm going to experiment and force myself to live a little uncertainly. I can take pictures anywhere — but I can only be with my favorite person on the planet in one place. It sure as hell doesn't hurt that that place is Italy.